Our stay in the Wytheville, VA area was a brief one but we enjoyed looking around the area. We took a short drive to nearby Austinville, VA. This community has a strong Texas connection because it is the birthplace of Stephen F. Austin, the “Father of Texas.” There’s a small park there: the Stephen F. Austin Memorial Park. Austin led the group of families to Texas forming what is known as the “First 300” and he had a major role in Texas becoming a Republic. Also near Austinville along I77 is Shot Tower Historical State Park. The park itself is small and tours are made by appointment only. According to records it was the first factory to mass produce shot on American soil. The tower is 75 feet tall with a shaft beneath it adding another 75 feet to the structure. Melted lead was pulled to the top of the tower using block and tackle. It was then poured through giant sieves. As it fell it cooled, forming musket “shot.” A tunnel at the bottom of the shaft connected to the nearby river and water from the river cushioned the newly formed lead balls as they fell into a large pot. The musket balls were retrieved by workmen from the bottom, dried and polished either on site or at a nearby town. It operated from 1807-1839. This area is lush and green from all the rain this summer. 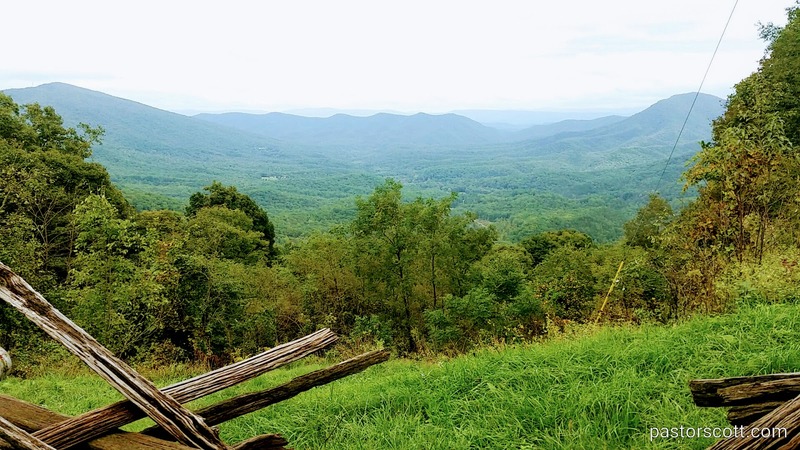 We drove one of the many scenic byways, enjoying the forest and winding roads all the way up to the top of Big Walker Mountain, just north of Wytheville. There we looked around a long time tourist attraction, the BW Country Store. It is full of handcrafted items, tourist stuff, and tasty looking food items like jams, salsas, fudge, ice cream and more. On the weekends, the store hosts music performances. There’s a lookout tower but we chose to not go up this one. Really, tower or not, the views were spectacular: we could see for miles down the valleys on either side of the peak of the mountain. It was a great afternoon drive. This entry was posted in Jackie and tagged history, museum, nature, review, sightseeing, Texas, Virginia. Bookmark the permalink. We stayed at Fort Chiswell RV Park in Wytheville, VA twice. Love the Shenandoah Valley.